Grace Gibson, an environmental and political science major, and Soleil Nguyen, an architecture major, both third-year Honors students, hardly expected to leave an (un)common reads course with plans for publishing a children’s book. 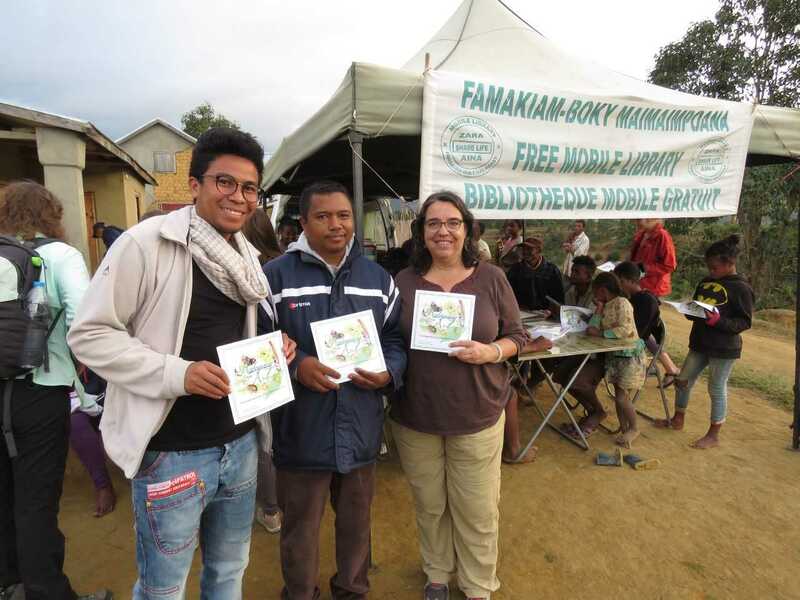 Michel Andriamihajanirina, Jean-Jacques Rafenomahazomanana, and Michele Tennant hold copies of “Madagascar from A to Z.” They visited the Mobile Library of Madagascar in the village of Manankasina. After the course finished, Dr. Tennant showed Gibson and Nguyen’s book to the LibraryPress@UF. As an imprint of the University of Florida Press, the LibraryPress@UF strives to engage the public by supporting projects with shared goals. Gibson and Nguyen’s project essentially became the first draft of the book. From there, they would work with translating the text and designing the book for publication. Gibson initially wrote the book in English, but the published version includes both English and Malagasy, the language of Madagascar. Dr. Tennant contacted Michel Andriamihajanirina, a Madagascar native involved in marketing and tourism, to translate the text. “Coordinating with everyone to correctly get the translations done” proved most difficult. “We all have busy schedules, and some of us live in different time zones,” said Nguyen. Despite having translators at hand, Gibson and Nguyen encountered problems. “There were a few elements debated about,” said Gibson. “Some were just order of words. Adjectives go after nouns. The order is different in English versus Malagasy.” Gibson also tailored the text to the English alphabet, since the Malagasi alphabet lacks five letters found in English. Gibson kept the target audience of children in mind as well. “It had to be the appropriate vocabulary level. We couldn’t use big, fancy Malagasy words. It was another challenge for the translators,” said Gibson. 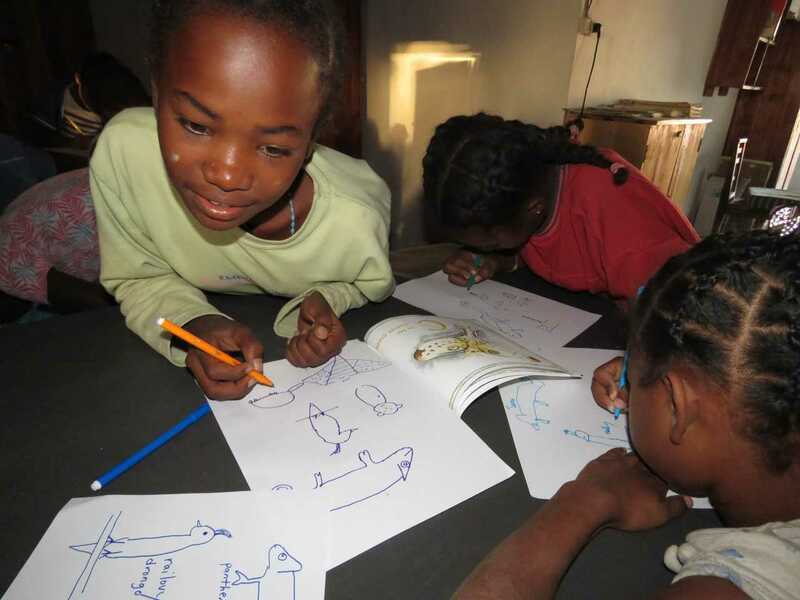 Children draw their favorite animals from the book. NGO Steph’Andava invited Tennant and her students to read to the children in English. While seeing English and Malagasy together catches the reader’s eye, it’s difficult to miss Soleil’s beautiful illustrations when leafing through “Madagascar from A to Z.” She chose to work with watercolor, mainly because “it is relaxing.” Nguyen said, “With a medium like watercolor you need to work with how the water flows and the colors mix. Watercolor can also get a lot of detail, but its overall appearance is soft enough that it’s not overwhelming.” Nguyen’s illustration style paired with the crisp white background of the pages gives the reader a sense of peace only found in nature. Often, authors and illustrators do not work together, so Gibson and Nguyen had a clear advantage in crafting their book. Gibson said the LibraryPress@UF allowed Nguyen and her to decide facets of the book’s craft, such as cover finish, page size, ink level, and colors used. The border colors even match the color scheme of the illustrations, a testament to Gibson and Nguyen’s excellent teamwork. 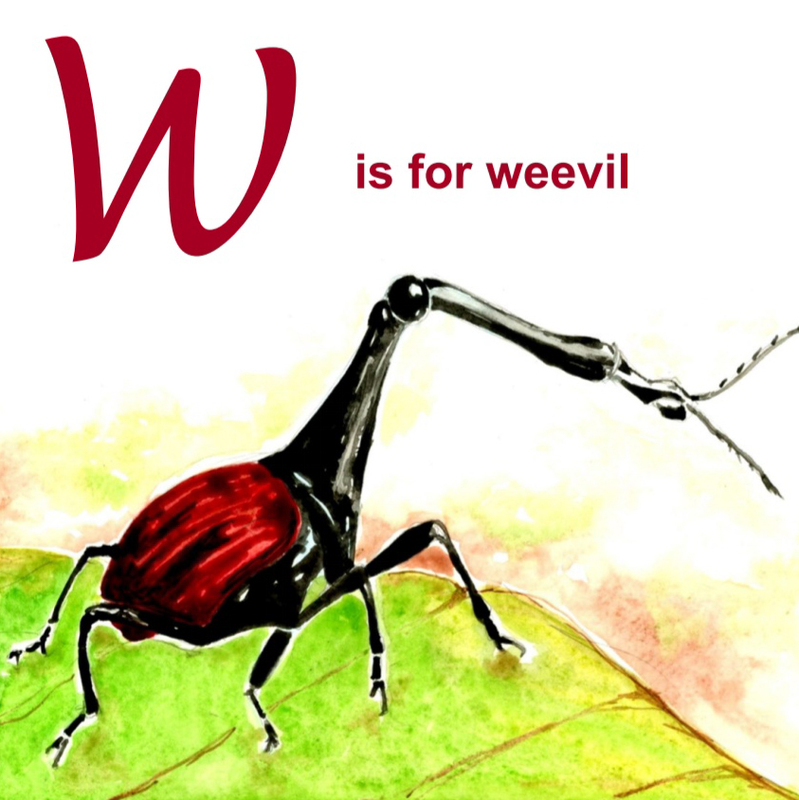 The weevil, Nguyen and Gibson’s favorite animal, sits on a leaf. Nguyen illustrated with watercolor. Nguyen and Gibson are currently working on a version with the dialect of Madagascar’s Andavadoaka region. “We are replacing some of the animals and plants with those more frequently found in that region,” said Dr. Tennant. Hopefully, the new book will be ready to take to Madagascar in 2019.